Tallit Clip Prayer Shawl Clip White and Blue with Star of David 6"
Announcement I create womens kippot, bat mitzvah kippahs, wedding kippah, wire wrapped yarmulkes, and gemstone jewelry: earrings, necklaces and bracelets for every day, Jewish holiday jewelry, and special occasions. Celebrate JOY with handmade jewelry. Shop for Mother's Day. Please add in 5 days for mailing time. Passover orders are closed. It starts Fri. 4/19/19. Hag Sameach! International shipping costs have become outrageously expensive, so I am no longer accepting international orders. If you purchase a pink item, a portion of sales proceeds will be donated to Living Well, a cancer resource center with volunteers who helped me during my breast cancer journey. I'll be leaving Etsy soon and moving to my own website, http://LinorStore.com. Celebrate life every day! Be joyous and grateful. My specialty is creating Jewish jewelry and womens kippot (Jewish women's headcoverings or yarmulkes, beaded and wire wrapped gemstone and glass secular jewelry, and hair accessories for proms and weddings. I'm a 3-year breast cancer survivor and I have a new line of Breast Cancer Survivor Jewelry for those who are newly diagnosed and beating breast cancer. A portion of your purchases will be used for donations to breast cancer organizations. Jewelry completes your look and improves your outlook on life. It's fun, elegant and uplifting to your spirit. I love working with different shapes and sizes of gemstones to create birthstone jewelry - tell me what colors you need and I'll do the rest. 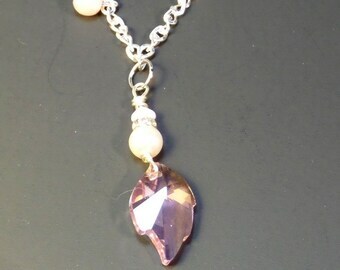 I'm interested in lots of different jewelry designs and working with pearls, gemstones, Swarovski crystals and wire. If you have allergies, please ask me about the metals before you purchase. I carry lead- and nickel-free findings. All items are handmade in Illinois, in the USA. My shop is cat- and smoke-friendly. Upgraded mailing to priority mail can be billed if necessary. I can also gift wrap your present, include a card and mail it to directly to your recipient. Just ask. For custom orders, I may need 3-4 weeks depending on supplies. Most mailing time of in-stock orders is 3-4 business days. I create womens kippot, bat mitzvah kippahs, wedding kippah, wire wrapped yarmulkes, and gemstone jewelry: earrings, necklaces and bracelets for every day, Jewish holiday jewelry, and special occasions. Bar Mitzvah Kippot - Yarmulke - Kippah - Womens Kippah Bat Mitzvah Hat Silver Lg Silver 5"
Tallit Clip Prayer Shawl Clip Pink Breast Cancer Sweater Clip 7"
Tallit Clip Pink Purple Beaded prayer shawl clip Sweater Clip 6.5"
Womens Kippah Bat Mitzvah Kippah Beaded Yarmulke Silver White Pearls Blue and Black Swarovski crystals 4.5"
Kippah Pink and Silver Wire Pink Swarovski 4.5"
Breast Cancer Kippah Large Pink Wire Pink Swarovski Crystal Wire Kippot Chapel Cap Yarmulke 5"
Kippah - Chapel Cap - Womens Kippot - Headcovering - Gold Wire and Black Swarovski Crystals 4.5"
When I wanted to buy something special for my mother and two sisters, I came across Linda’s work and it was so gorgeous! The variety of items she crafts made it possible to cater to each of my family member’s individual personality. 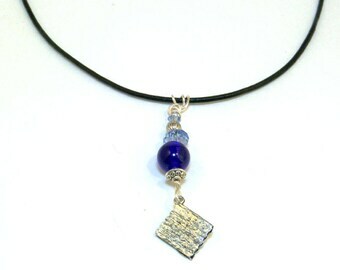 Her jewelry on Etsy only scratches the surface, Linda provides many more products at her website! Linda is very knowledgeable about the stones and crystals she uses, is genuine in their effort to find something that fits your unique style, quick to send out the product, and did whatever she could to make the process as smooth as possible. Beautiful! Exactly what I envisioned! Thank you Linda! Can’t wait to wear at my son’s bar mitzvah later this month. Kippot - Chapel Cap - Womens Kippah - Headcovering - Gold Wire and Clear Swarovski Crystals 4"
Kippah, Yarmulke, Kippot, Chapel Cap - Womens Kippah - Gold Wire Sapphire White Pearls 4.5"
Making and photographing #Passover jewelry and accessories. You can order yours soon for your #seder. 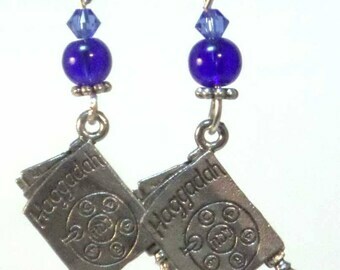 Passover 2019 jewelry designs. More a coming. Kippah packaging to fit in a small mailing box. It all started when I was a little girl making necklaces and bracelets out of pony beads. I loved the feel of them. Fast forward to about 10 years ago, I attended a women's workshop where we made bracelets while listening to a speaker. It was so relaxing and refreshing, I knew I was hooked, or should I say strung? It's a joy to have you choose the colors and size of your kippah for your bar/bat mitzvah or wedding and for you to have a memory of the happy occasion. My kippahs are freeformed, I do not follow a pattern and add beads as I am inspired. I intentionally do not make them round because I am imperfect as a human being. It thrills me when my clients understand this. As a 3-year breast cancer Survivor, it excites me to help you design a gift for the Survivor in your life. My workplace is the dining room table, and each room of our home plays a role: photography, packing and shipping, bead storage, and finished pieces and jewelry displays. 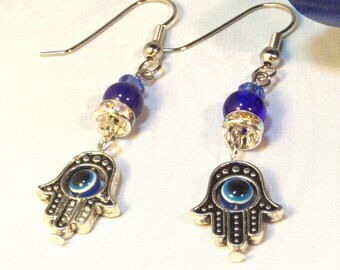 Each of my pieces is created with love and positive energy. It's all about joy, celebrating holidays and special occasions. My ideas come from color combinations, gemstone combinations and my clients, who teach me how to make my products better. 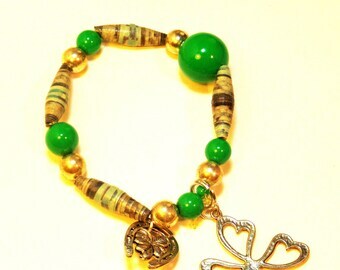 Jewelry completes an outfit, the colors are vibrant and some of my designs are eclectic. I want you to feel more beautiful wearing one of my pieces. 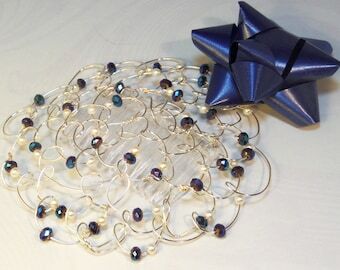 Necklaces, earrings and bracelets are tested for durability before mailing them out. I want you to be satisfied. I make my designs to be a part of your every day and special occasions: birthdays, bar/bat mitzvahs, and weddings. I love working on custom orders to create an exception design with you. You can see what I'm up to on my blog at http://linorstore.com. Please get in touch if you have any questions about a new design or any of the jewelry and kippot in stock. 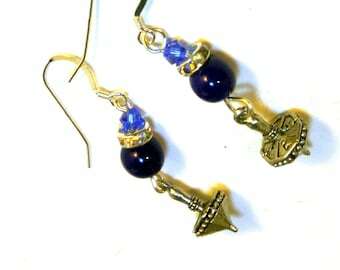 Celebrate life with Jewish holiday jewelry for Passover, Hanukkah, Shabbat and Sukkot. 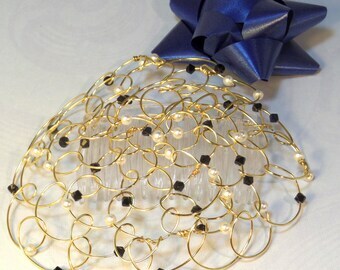 Celebrate a simcha with women's wire beaded kippot. 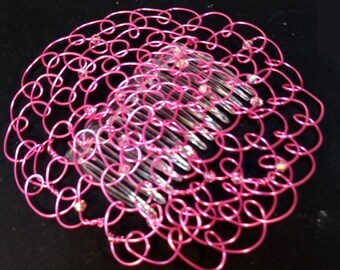 I found my joy creating women's wire kippah or yarmulkes Incorporating my love of Judaism and creativity. Welcome to my Etsy shop. I'm Linda and I create beautiful jewelry and Jewish women's kippot for you to celebrate joy in life everyday. I consider colors, gemstone qualities and different shapes when I design an item. Bold colors are such fun. 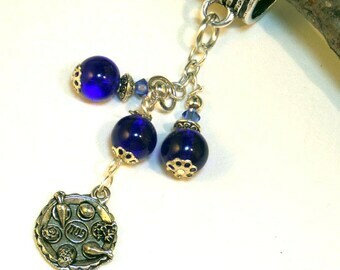 I work with a combination of gemstone and glass beads to keep prices affordable. Please read my shipping policies. My work is guaranteed, except for glazed glass, scrabble tile magnets or pendants which are not waterproof. Please contact me immediately if you have a problem. My jewelry is designed for girls over 14 years old. Note that for little girls: swallowing hazards and lead may be present. Parental supervision is required. My bracelets are not toys and should not be tugged or pulled. Breakage may happen that way. If you have ALLERGIES, please ask about the metals first. This is a pet- and smoke-friendly shop. I can work with you to custom design a piece with you to match an outfit or your favorite colors. Just contact me and we'll work on it together. I hope you'll visit often to see what new items I have listed. Thanks for looking. Please leave feedback if you like what you see and what you've ordered.. Tell your friends about my shop.. Refunds will be given on a case by case basis. PLEASE CONTACT ME FIRST BEFORE RETURNING AN ITEM. International orders are no longer accepted because of the outrageous costs. Overstock/clearance items are normally NOT returnable. I cannot guarantee wear on scrabble or wood tile pendants or offer any refunds. For sanitary reasons, jewelry that has been worn cannot be returned. If you are dissatisfield with an item because of a defect, please notify me by email or convo me immediately to make arrangements for a return, repair, or an exchange within 7 days of your receipt. You must handle your items with care. If your product is defective, you will be offered an exchange or refund. If a package arrives damaged the buyer needs to contact the United States Postal Service (USPS) along with me. I will work on sending out a replacement or refund should this happen. I ask for your help in contact USPS so that I can file the claim and have it processed quicker. Buyer will return the item to me with tracking information or delivery confirmation in similar packaging that I send you to ensure that the package does not get damaged within 7 days of receipt for a full or partial refund (less mailing costs). *I reserve the right to determine if a refund is warranted and choose the amount of the refund. *I reserve the right to offer a store credit instead of a refund. CUSTOM ORDERS - require payment upfront for materials purchase before work is begun. If you cancel the order, part of this payment is non-refundable, depending on how many supplies I ordered and how much work has been completed if you cancel the order. This payment signifies the client's willingness to proceed with the custom order. 1. When I receive the payment, I will order the supplies, and email you when I receive the supplies. I'll be in touch with you often to get your approval, and will send you pictures of the item when it is complete. 2. All or part of this payment may not be refundable, depending on the circumstances, at seller's discretion. * Store credit may be substituted. 3. I will tell you the balance due and create a listing online for you to purchase the item. Shipping charges will be added at the 2nd or final payment. 4. If you do not purchase the item within 5 days, I will add the item to my store inventory and it becomes my property. You forfeit the downpayment. 5. *If you purchase the custom made item, it is not eligible for a refund or exchange. Please contact me within 7 days of receipt, if there's a problem to discuss a possible exchange. I have the right to refuse an exchange on a custom order. By paying for (purchasing) one of my jewelry or kippah designs, you agree to these terms. I accept PayPal or Postal Service checks for online orders. I will wait 3 days for payment. If the item is not paid for in that time or cancelled within that time, I will cancel the sale. Etsy Direct Checkout may not be working properly, so there may be delays. It is very important to let me know if you need an item by a certain date when you place the order. I need to know that upfront, for a custom or regular order. Additional mail charges may apply. You can use a credit card and use PayPal without signing up for an account. Here's a help page https://www.paypal.com/webapps/mpp/account-optional. You are the customer in this case. Open the link in a separate tab or window so you stay in my shop and browse. I also accept credit cards through ProPay. If you are interested in that option, convo me and we can arrange payment over the phone. It takes a few days for me to receive payment, and I don't mail out until I receive your payment and it clears. Your in-stock item(s) will be mailed within 4 business days (Mon. - Thurs.) after receiving the payment. I do NOT normally mail on Fri., Sat,. or Sun. You will be emailed when I am mailing your item. I use United States Postal Service 1st class mail with delivery confirmation unless Buyer needs expedited shipping. Additional charges will apply. Mail prices include packaging and handling. If you'd like insurance for orders or have any other shipping requirements, please let me know prior to purchase and I'll add to the shipping cost. I can quote you a price on expedited shipping to ensure you get the item when you need it. Buyer will be responsible for all duties charges and taxes on items overseas. Buyer will be responsible for any shipping costs on orders and returns. Each piece has been created with care and needs special handling by you. Please don't wear your jewelry in the shower, swimming or while doing hard physical activities. And, if you travel with it, pack it up with bubble wrap so it doesn't break. Jewelry is not intended for children under 14 and must be used with parental guidance. LinorStore Jewelry Designs including, but not limited to: necklaces, bracelets, and earrings may pose a choking hazard to small children. Also, some of my designs feature Swarovski crystals, which contain lead. I am legally obligated to inform you of the potential hazard based on the assumption that kids will put any and everything into their mouths. Although Swarovski claims the lead in their crystals is not” easily released”, it is better to be safe.